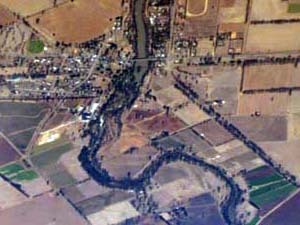 This page essentially provides links to content elsewhere on the Department of Environment, Land, Water and Planning (DELWP) and water.vic.gov.au websites which are the definitive sources for water information in Victoria. Monthly reports on: rainfall, streamflows, water storages, groundwater levels, urban restrictions, irrigation restrictions, irrigation allocations and seasonal climate outlook (DELWP website). There are a number of links provided to content on the water.vic.gov.au website which is the definitive source for water information in Victoria. Data and information on river and wetland health monitoring is available on the Index of Condition System website. Data and information on community water monitoring is available on the Waterwatch Victoria website.